Carl Lagoni possesses a passion for meeting client and market challenges with innovative design concepts and unparalleled service. This relentless pursuit helps Bassenian Lagoni set the standard for professionalism and integrity in the field of residential architecture. Mr. Lagoni also is responsible for fine tuning and refining many of Bassenian Lagoni‘s award-winning designs. His keen eye for detail and marketability has garnered the firm an unprecedented number of industry awards, both nationally and regionally. 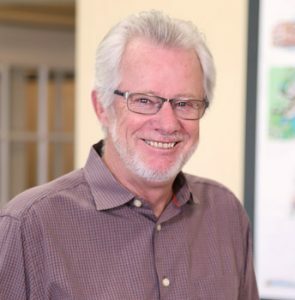 A sought after speaker, Carl has participated as a guest lecturer for several building industry organizations including the Pacific Coast Builders Conference (PCBC), the Building Industry Show and the National Association of Home Builders, as well as numerous local building councils. Carl’s design expertise has landed him on the judging panels for national, regional and international design programs in Portland, Denver, Atlanta and Vancouver, British Columbia. Mr. Lagoni received his Bachelor's degree in Architecture from California Polytechnic State University, San Luis Obispo, and is a registered Architect in California, Arizona, Nevada, Colorado, Hawaii, Texas, Florida, Virginia, Maryland, North Carolina and Illinois. Carl is also National Council of Architectural Registration Board (NCARB) certified. His professional affiliations include: American Institute of Architects, National Association of Homebuilders, Building Industry Associations of Southern California, Northern California, Arizona, Nevada and Colorado, Senior Housing Council and local Sales & Marketing and Home Building Councils.